WellShare’s Wellness Class at Metro Schools in Minneapolis recently completed a PhotoVoice project on tobacco awareness. 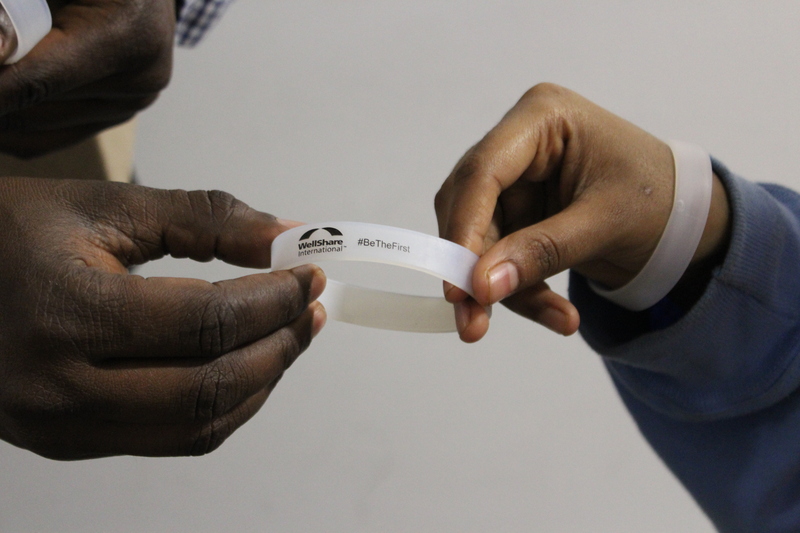 The concept of PhotoVoice was designed in the 1990s as a way to enable people to record and reflect their community’s strengths and concerns and promote critical communication and knowledge about essential issues through large and small group discussion of photographs. For five weeks, the program staff of the East African Smoke-Free Program worked with 35 youth, teaching them about the tobacco industry and the dangers of tobacco use. 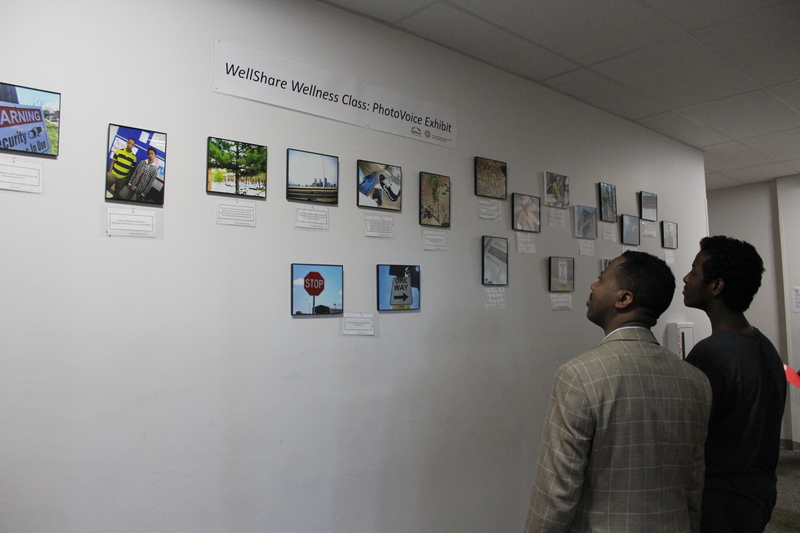 For this project, WellShare also collaborated with a professional photographer who worked with the youth on their photography skills and helped them with their individual projects. The students demonstrated creativity in taking photos that they connected with tobacco use in their communities and around their school. Each photograph was captioned with a tobacco awareness message. At the end of the project, the students presented their projects at their school. 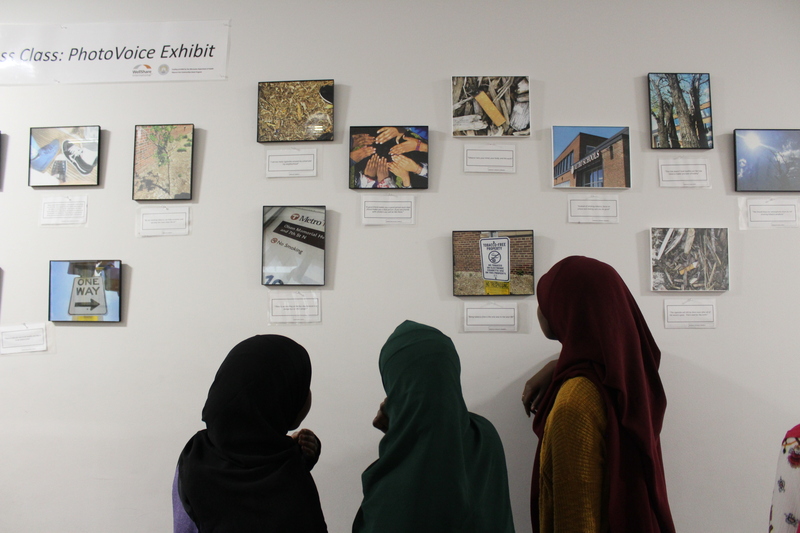 In addition to the 35 participants, more than 150 students and staff attended the exhibit. The photos will be showcased at Metro Schools for a few weeks, exposing more students, staff and visitors to the tobacco-awareness messages. Studies have shown that PhotoVoice methodology can help raise critical awareness regarding community health problems, such as the negative impacts of tobacco use, and encourage participants to take action against these causes. Apart from the educational benefits, the youth had fun taking photos and sharing their tobacco-awareness messages with their fellow students.